I got my Bachelor of Science from Peking University where my major was biological science. During my undergraduate studies, I joined two labs doing research related to stem cell biology. In Prof. Yan Song’s lab in Peking University, I studied post-translational regulation of correct stem cell lineage progression, which remains largely unexplored. There, I demonstrated that the evolutionarily conserved E3 ubiquitin ligase named Ananke here executes significant function in promoting correct neural stem cell (NSC) lineage progression in Drosophila. Downregulation of Ananke in NSC lineages led to ectopic NSC generation through dedifferentiation, resulting in tumorigenesis. In 2017, I joined Prof. Ya-Chieh Hsu’s lab at Harvard doing summer research. There, I explored rapid hair regeneration mechanisms after chemotherapy-induced alopecia with special interest in investigating whether dermal adipocytes, which serve as an important type of niche of hair follicle stem cells, play a positive role in mediating hair regeneration. Throughout my undergraduate studies, I gradually developed great interest in cellular, developmental and regenerative biology. I found that scientific research continuously brought me aesthetic feelings and added fresh elements to my life. 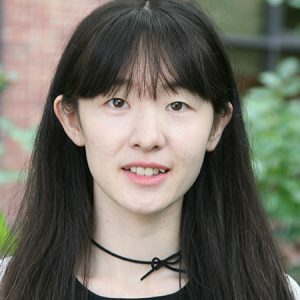 In the incoming graduate study, I want to interrogate molecular mechanisms of how cells integrate intrinsic factors with extrinsic local and systemic cues to adjust their gene expression profile throughout development, repair and regeneration, with special interest in epigenetic mechanisms and 3D genome. I am also interested in stem cell-niche communication in physiological and pathological conditions, but I am also open to other fields of biology.